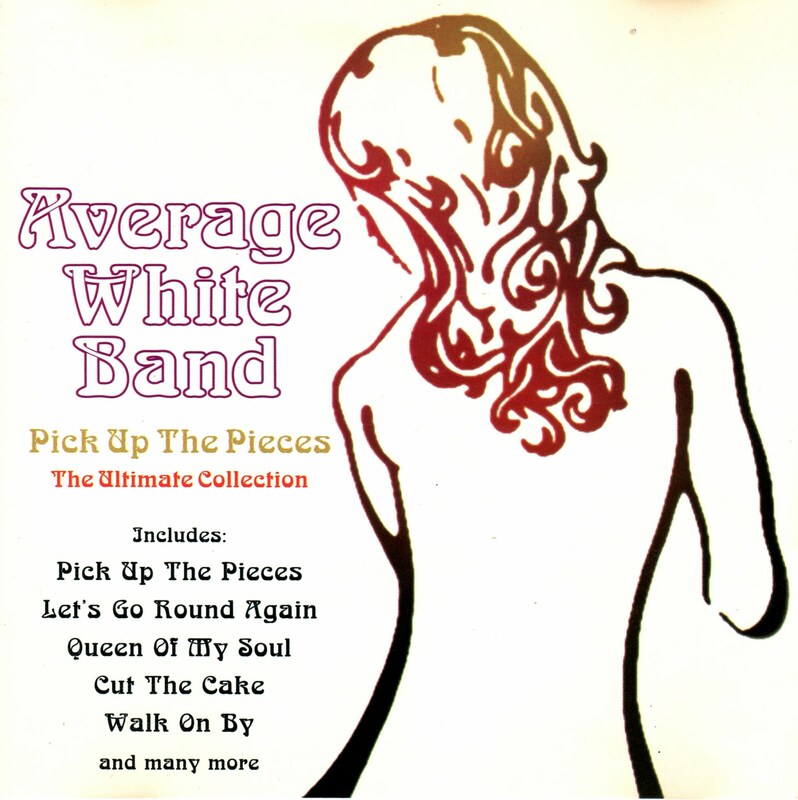 ‘Pick up the Pieces’ made the reputation of the Average White Band. This is not to imply that they were in any sense a one-hit-wonder band, but rather to recognise that this song approaches a kind of perfection in a style of music that was very distant from the band’s roots in Glasgow. Essentially the song is a brilliant assimilation of the style of American jazz fusion bands like the Crusaders, merged with the economy of modern jazz and the attitude of the JB horns. The mixture was potent enough to reach no 1 in the American charts in 1975 and no 6 in the UK. It became a bench mark of disco style, and redefined European funk within the context of 70s dance music. But since technical excellence by itself rarely recommends a recording to the popular taste, other reasons might account for the phenomenal success of ‘Pick up the Pieces’. A passion for dissecting music so that it can yield underlying secrets is very alien to the majority of listeners who would rather sit back and enjoy the music. There is, though, a very strong case for arguing that such analysis informs us not only about the music in question, but also about our mechanisms of perception, our cultural ideology and world outlook. It can tell us about how we decode the mystery of the universe that we confront. By way of the tunes of the discotheque, we can make discoveries of ontological significance. In many ways, ‘Pick up the Pieces’ is narrative: it is an instrumental, and consequently lacks the specific meaning of lyrics, but it has many other factors associated with it that make it a kind of story. At a structural level, it is a very simple kind of story which goes something like this: after an introduction which is full of tension and suspense (as if we’ve dropped into something in the middle of things rather than at a carefully prepared beginning), we hear some music that is tonally static, really dance-like, full of optimism and carefree. The music repeats extensively, and seems, for a time at least, to be going on forever. The chord that opened the piece is heard again before each repetition of the music, but at the third repetition, something totally different occurs. We are propelled into a wild saxophone solo which contrasts most markedly withthe preceding material. Then again, there’s that chord, and the status quo is re-established. But this time, there are crucial differences. The story ends abruptly; the music finishes without any flourish, or a coda section, or anything different happening at all … it just stops. Simplifying this ‘storyline’ further: ‘Pick up the Pieces’ announces a particular set of circumstances, demonstrates a wildly different set, and then re-iterates the first set, slightly, but crucially, altered. In the sense of plot, we might suppose that the change in the status quo is the result of the alternatives encoded in the middle section – indeed there would hardly be a story if this were not so – but this is inference. Many common folk tales have the same structure. In ‘Jack and the Beanstalk’, the initial set of circumstances is typified by poverty and need. The wild adventure in the middle of the story, selling the cow and planting the beans, going up the beanstalk and being chased back down it, is the means – however unlikely – by which the circumstances are modified. In the final episode of the story, Jack and his mother enjoy the riches that he has plundered from the giant’s castle. The initial circumstances in ‘Cinderella’, show Cinderella, the central character, unhappy and abused. After a magical central escapade she returns to her initial state as housemaid. Of course, we expect the slipper to fit … we are sufficiently well versed in the mechanics of plot to see the change in Cinders’ circumstances well before it actually happens. Perhaps the listener is partly expected to ‘jump to conclusions’ well before the end of the story: in folk story terms, it is the satisfaction of reinforcing the prejudices of the listener that gives the story life and cultural meaning. In ‘Pick up the Pieces’ we are absolutely sure that the conditions present at the opening of the piece will emerge again at the end … the question is, how will the change in circumstances actually manifest itself? The archetypal fairy tale, in which the hero leaves the castle (or hut, or wherever) and has a remote adventure, eventually to return with some kind of prize or privilege, is mirrored in the ‘plot’ of ‘Pick up the Pieces’. What other characteristic does ‘Pick up the Pieces’ share with a narrative? Well, it might be considered an oral story, that is, one that is transmitted and received without the medium of writing, because it is built up of memorable hooks. It comprises a few basic cells that are put together in a simple, repetitive order like a children’s story, and like a children’s story, it is predictable. 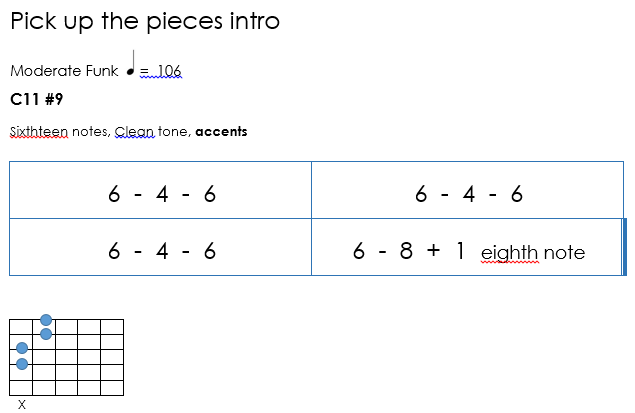 There are variations in the foreground of ‘Pick up the Pieces’, but these variations are easily memorised. The variation in the tune always happens at the third repetition, rather like the conventions built into epic verse to make it memorable from the perspectives of both the teller and the listener. Other variations exist as intriguing details. The guitar riff which constantly accompanies the main tune, and fills in the gaps between the statements of the tune, is remarkable for its restraint: it never varies in volume, it never aspires to the foreground of the piece, and, more importantly, it’s always there. It is a kind of constant element against which the bravura and bluster of the saxophone tune can be felt and measured. Every now and then there are variations in the riff. 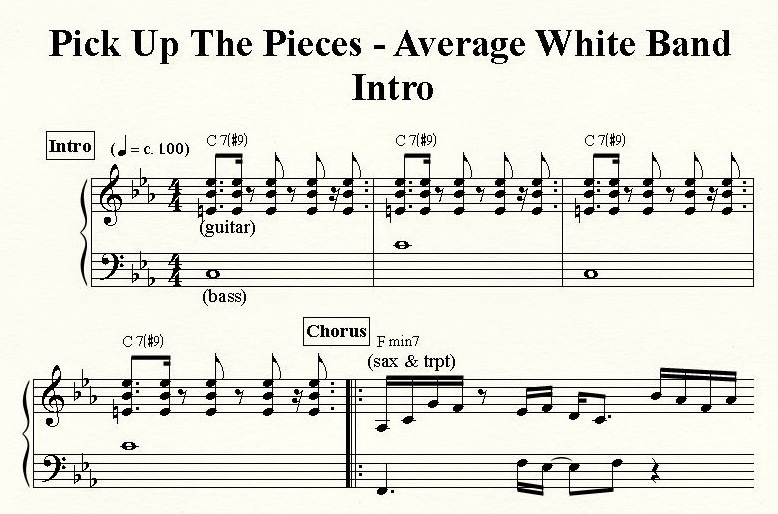 One of the tenets of funk is this essential quality of understatement and coolness – the riff is of structural importance in that it underpins the more dramatic statement of the main tune – but at the same time it encodes a sense of mission and purpose within the context of the piece which has its own sense of dramatic statement. Another interesting variation lies in what could be called the transition motif (see lead sheet bars 34, 52 and 87). 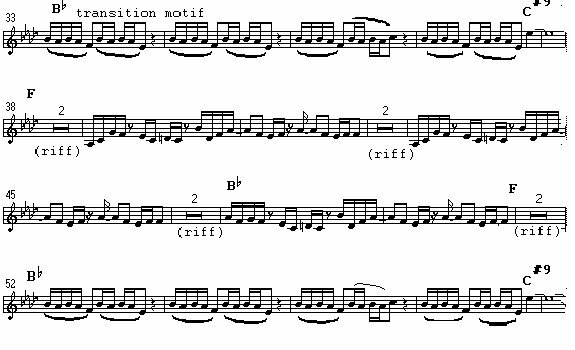 The motif establishes itself through many repetitions in the course of the piece, but close listening reveals small alterations to the melodic contour. These alterations tend to happen on the penultimate bar of each transition motif, even though these sections vary in length (see bars 35, 54 and 94). Listing the motifs of ‘Pick up the Pieces’ and remarking on their capacity for variation does not, in itself, constitute a discovery about the meaning of the music. It is, though, a valuable exercise, because evidence collected from such close observations will be brought into play when making hypotheses about the organising principles behind the work. The central focus of the music is the saxophone tune, which is double tracked, suggesting a curious kind of double identity. At frequent intervals, the two saxophone tracks divide, creating a harmony line. At the end of the piece, after bar 97, the riff that has accompanied the tune so far, is significantly extended. It comes into its own. More than that, it becomes the place where we can see real, changed characteristics in the music after the central solo escapade. At bar 97, moments before the end of this piece, there are sudden unexpected developments which denote a change in the status quo in terms of the narrative. So what happens? What evidence is there for change? 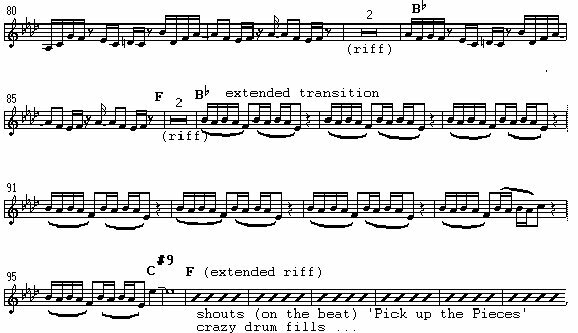 First, the riff that has so far functioned purely as an adjunct to the main tune is extended to a full eight bars. Second, there is added percussion which is played relatively freely, rather like a samba band, with the intrinsic suggestion that there are more people on the stage, more characters in the action. It’s like a party developing. Third, there’s the chant “Pick up the Pieces”, sung by the band. The effect of finally eliciting words from a hitherto instrumental piece can be compared to, albeit on a much smaller scale, the finale of Beethoven’s Ninth symphony, where the human voice eventually articulates the expression that had, up until that point, been exclusively instrumental. Something similar happens here in ‘Pick up the Pieces’. Why does the vocal line feature prominently right at the end of the process? Why does the vocal line occupy the space previously reserved for the saxophone tune? To find some answers to these questions, we should go back to an earlier moment in the piece, when the chant is briefly heard … rather as a foretaste of things to come. In terms of a folk story, it’s the moment when the wicked queen looks into the mirror and is forewarned about the most beauteous one of all. It’s the moment when the princess hears the name of the prince she will eventually marry from a gypsy with a crystal ball. The foretaste of the chant is brief, and in terms of the narrative, unsatisfactory. In what ways is it unsatisfactory? It’s shorter and therefore less established: it’s suspended over a dominant chord instead of the home key, and therefore suspended and incomplete, and crucially, it is displaced by one beat creating an illusory 5/4 bar just before the saxophone solo. So the foretaste of the chanting (at bar 56) is less established, suspended, and displaced, contrasting markedly with the final ‘Pick up the Pieces’ chant (at bar 97) which is longer, i.e. more established, and accompanied by a tonic chord of F minor, thereby denoting a kind of tonal homecoming . 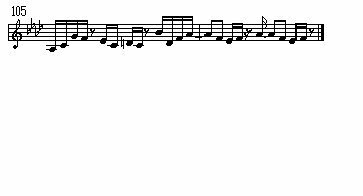 The clever displacement of the beat at bar 56 which creates the illusion of an uneven bar gives way to a regular 4/4 chant in the final bars of the music. These changes to the structure and texture of the music are highly unexpected, and in terms of formulaic pop songs, very unusual. But they all add up to one thing: they denote a kind of closure, a rounding off of the narrative threads implied by the preceding material. And, further, if we wish to pursue the analogy of a storyline to the song, then we can infer that these elements which emerge in the final bars of the music are actually there as a result of the coded adventure of the saxophone solo. And what of the solo itself? How does this fit into the metaphor of the story? Until the moment of freedom, represented by the improvised solo line, the music has been controlled and, in the parlance of rock and jazz musicians, ‘tight’. Then, quite suddenly, the saxophone launches into a wild and jazzy solo. The hero comes out of the castle. What does he find? Something about the nature of his adventures is suggested by the harmonic climate of the solo. 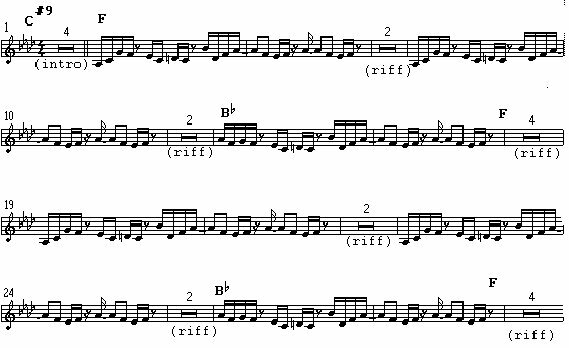 When the key center of a piece changes, especially in the context of a unusually static and fixed tonal framework as in ‘Pick up the Pieces’, a change of affect is experienced in the listener. The music encodes the suggestion ‘we’re in a new key: different things happen here’. The particular solo in question, however, is accompanied by extra saxophone lines which suggest further key changes. 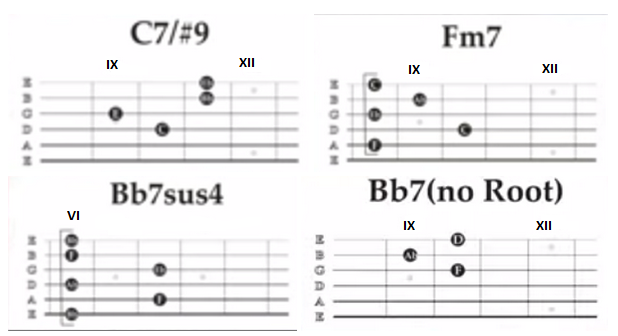 In the example below, the fills and the bass form a dominant 9th chords, which, fleetingly, suggests resolution. The resolution never comes, and the quizzical little saxophone fill is presented over and over again, tantalisingly repeating its suggestion of adventure to more remote tonal regions. In effect, it poses the question ‘What if?’. The nature of the adventure, therefore, can be understood to be challenging. When the hero came out of the stability and predictability of the castle environment, he encountered a world which said ‘What if?’. If, then, ‘Pick up the Pieces’ resembles an oral narrative as far as the larger scale structural elements are concerned, the actual material of which the song is constructed, the smaller building blocks, might yield clues as to what – if anything – the story is about. Close scrutiny of these reveals a consistent theme of rhythmic displacement and subsequent balance. Take, for instance, the first motif which has nine repetitions in the course of the piece. Notice that the tune (level a), is made up of two phrases (level b), and that this level comprises five motivic elements (level c). The first three elements in level c have a triple period, that is, the permutations of the motif repeat at three quaver intervals. The last three motifs in level c have a duple period. The normal period in a piece of music in duple time is 2,4 or 8 beats; consequently the first phrase evidences some rhythmic imbalance which is ‘corrected’ by the establishment of a duple period in the second phrase. The snare drum accentuates the pushes before the normally accented beats of the second bar. It takes a lot of tortuous prose to explain how these two bars are heard: we hear all this in an instant – well, around 3.7 seconds actually – but we as listeners are very sophisticated at hearing and analysing such formulaic music. Because the language and vocabulary of jazz-funk is well established in our popular culture we have all become fully conversant with its frequently articulated structures and devices. What we can take from this opening fragment is that the music ‘is about’ the opposition of triple period and duple period motifs. The same ‘issue’, that of the imposition of three on to two, is evident in the riff. In this particular case, the basic unit of rhythm is the semiquaver, so the process is happening at twice the speed, but the principle is still the same. To do what Philip Tagg implies is necessary for something approaching a full understanding of the piece, we have to integrate the various strata of the music, with the bass and drums, and to examine their overall and integrated effect. Of course, this is very difficult, and probably involves a high degree of subjectivity as the possibilities for idiosyncratic and personal interpretation multiply exponentially with the amount of musical information we are attempting to integrate. The problem of subjectivity – being able to substantiate one person’s opinion so that it might have wider and more objective application – is endemic in the analysis of emotion and feeling in music. It’s made worse in ‘Pick up the Pieces’ because there are no words, and the Average White Band haven’t supplied programmatic clues to tell us what it’s about. And if they had, would this be of any relevance to an understanding of how the song is heard by all the millions of people who whistled it, sang along to it, attempted to play it, bought it and danced to it? But as the twentieth century draws to a close, we can reflect that funky music has been around for thirty years, and in that time the culture which gave rise to funk, and subsequently developed and marketed it has become increasingly confident about articulating its meanings. Funky music is all about dancing, and ‘Pick up the Pieces’ was a disco hit. The question arises: is it appropriate to subject ephemeral disco music to such scrutiny? If we adopt the attitude that the people who frequent discotheques are unable to engage in dialogue about music, we adopt an elitist position which effectively puts the analyst in a superior position to the clubber. It suggests that the analyst knows more about the music than the people who identify with it. Perhaps this is true. However, a more acceptable hypothesis is that the analyst articulates what the clubber instinctively knows. We might at this point get involved in a discussion about the hierarchy of instinctual knowledge and articulated knowledge, but this is beyond the scope of this study. The fact that several thousand words and a lifetime of study are necessary to explain the secrets of the music only point out the sophistication of the musical code. What is evidently true, however, is that millions of people really do receive meaningful and emotionally satisfying messages from this music, which is why they buy it. ‘I think it’s going to work out fine’ – Ry Cooder. (on Bop Till You Drop, 256691 WE 835 – 1979) This is a slow instrumental which similarly has narrative qualities. The middle eight of ‘I thinks it’s going to work out fine’ is a clear example of classical harmonic movement encoding logical argument. Unlike ‘Pick up the Pieces’, the Ry Cooder song clearly suggests the words ‘I think it’s going to work out fine’ in the guitar tune, suggesting exactly what the musical phrase purports to mean. Other songs on the album contain ‘Southern folk wisdom’, which seems to be a theme which runs through the songs, and the instrumental ‘Everything will work out fine’ appears to continue this in spirit. ‘Private Investigations’ – Mark Knopfler and Dire Straits (Vertigo DSTR 1 – 1982). Again, the title helps conjure up a twilght world of the gumshoe detective, and the music can easily be construed filmically. ‘Echoes’ – Pink Floyd (on Meddle, SHVL 795 – 1971) The entire second side of the LP Meddle is taken up with the track ‘Echoes’, and as such represents one of the few popular manifestations of extreme long term development. The song demonstrates formal development over a very long time span – around 23 minutes, starting from a single sound – through a sonata-like exposition of material, and its subsequent development, into a vast central area of cosmic intangibility to a final restatement of rock-solid certainty. It shows evidence of enormous compositional restraint, and can be a deeply affective experience as it takes the listener on a long, sustained journey of transcendental quality. 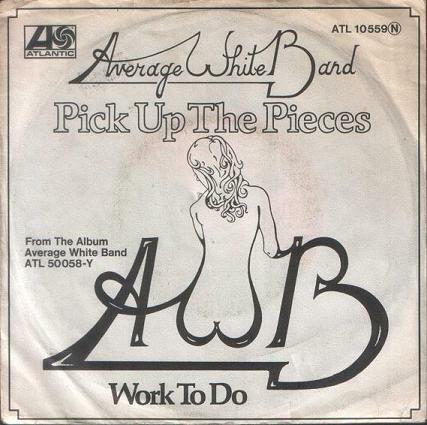 “Pick Up the Pieces” is a 1974 song by the Average White Band from their second album, AWB. 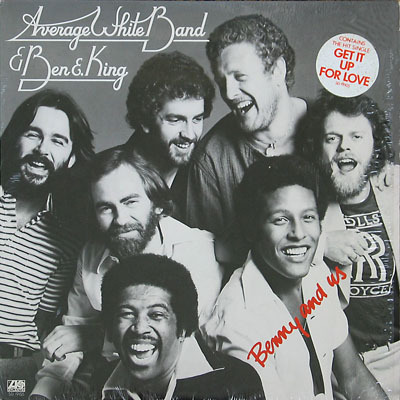 On the single, songwriting credit was given to founding member and saxophonist Roger Ball and guitarist Hamish Stuart individually and the entire band collectively. It is essentially an instrumental, apart from the song’s title being shouted at several points in the song. The song features an intro 4 measures of Csus7#9, sus 4 (C F Bb Eb) afterwards in the theme 8 measures of Fm7 (F Ab C Eb), 2 measures of Bb7 (Bb D F Ab), 4 measures of Fm7. “Pick Up the Pieces” was released in the United Kingdom in July 1974 but failed to chart. 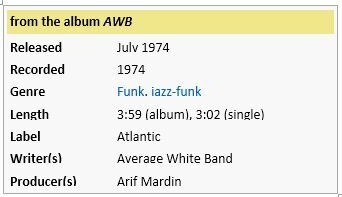 When the album was released in the United States in October 1974, radio stations there started to play the song, and on 22 February 1975, it went to the top of the US singles chart and peaked at number five on the soul charts. After its US success, the song charted in the UK and climbed to number six. “Pick Up the Pieces” also made it to number eleven on the US disco chart. 18 minutes de live avec Candy Dulfer. et l’original de 1974, enregistré par AWB.